Holiday obligatiosn kept me from blogging as much as usual over the weekend, and this afternoon I have to head out to St. Joe's to visit a class this evening. So I won't be posting again for a bit. ... Sticking the Landing | Mark Athitakis’ American Fiction Notes. ... Poet Fatima Frutos honors her grandmother and Irena Sendler with her prize | The Book Haven. ... Saying “thank you” not as easy as it sounds. ... The latest issue - The Fox Chase Review. Robinson attributes "the sense of emptiness in the modern world" not to the decline of faith, nor to the advance of science -- she considers both religion and science to be poorly represented by the so-called modern debate between them -- but to "the exclusion of the felt life of the mind from the accounts of reality proposed by the oddly authoritative and deeply influential parascientific literature… and from the varieties of thought and art that reflect the influence of these accounts." ... hat tip, Rus Bowden. ... Zealotry of Guerin: The Vietnam War Memorial. ... Some Scandinavian books I am looking forward to reading | Petrona. ... Paul Davis On Crime: Happy Birthday To Ian Fleming. ... Issa's Untidy Hut: Russell Libby: Moments. ... 20011: Two for the jargon file. ... Memorial Day - Speak Without Interruption. "OK, Frank. Call me grumpy," Cynthia says. Not at all. I think the problem is real, at least potentially. I just think we may be making too much of it. I have noticed, now that I have returned to work, that my memory is sharper for some reason. I think may be we just have to make some time to do things the old-fashioned way, things like memorizing poems. The way we still make bread, though we can buy it at the store. ... Paul Davis On Crime: Golf Stories Link P.G. Wodehouse, Ian Fleming And John Updike. ... it's like pictures of your grandkids. Anyway, what follows is Debbie's granddaughter's first poem ever. So it's not really about me. I also think it's rather good. Reilly, by the way, is 6. ... Zealotry of Guerin: Still Life With Compotier (Cezanne). There is a largely unknown order of human beings who believe in that impossible thing: intrinsic value. One must work as if intrinsic value were a reality, even though I myself know no way of demonstrating its real existence. ... Of Brevity, My Dog, and Me: BREVITY's Nonfiction Blog. Auden’s readings are predicated on a grim and intricate realism about the way he thinks things are. ‘In the real world, no hatred is totally without justification, no love totally innocent.’ Or: ‘The historical world is a fallen world, i.e. though it is good that it exists, the way in which it exists is evil, being full of unfreedom and disorder.’ Even the Christian God is in trouble, because he has created ‘a world which he continues to love although it refuses to love him in return’. ... Paul Davis On Crime: Top Ten Moments From Ian Fleming's James Bond Novels. ... too muc work, too long a day. Blogging will resume tomorrow. ... Hay Festival 2011: The Telegraph's top picks of the day, on Friday 27 May - Telegraph. ... Where to Start Your Memoir: Richard Hoffman BREVITY's Nonfiction Blog. ... Why people don’t “get” Czesłosz Miłosz | The Book Haven. ... of TLS Letters: Ted Hughes’s archive, In translation, Future pain, and more! ... Peter Stothard - Times Online - WBLG: My smallpox friend remembered. I keep thinking that the perfect Kafka Prize would be one that you could be awarded, but was bestowed at a location you could never quite arrive at. ... May 26, 2011 - Home - Literary Death Match. Has nothing to do with books, but it's a nice bit of cash, and something worth thinking about. ... Programs - Triple Canopy. I'm sorry. The phrase "climate change" is redundant, sort of like "tide movement." Climate is a chaotic system. Change is what it is. To stop such change is up there with King Canute ordering the tide to stop coming in. But Canute at least knew that was nonsense. And forget global watming. Even Phil Jones admits there hasn't been any since 1997. ... The Millions : The Perils of Reading Pregnant. ... First Known When Lost: "The Poetry Of Almost Infinitely-Qualified States Of Mind": Philip Larkin And Edward Thomas. ... Issa's Untidy Hut: Wednesday Haiku, Week #18: William Sorlien. ... Anecdotal Evidence: `Birds Don't Fly Through My Skylight Nowadays'. ... Benchley and Ecclesiastes: Ivebeenreadinglately: "They are simply dull, solid, one-hundred percent Americans, who have never been in a night club in their lives," or, New York and "the Real America". And costs a great deal. ... Paul Davis On Crime: The Classic Thrillers Of Len Deighton And Alistair MacLean To Be Reprinted. ... Little Epic Against Oblivion: Greenville, Tusculoosa, Reading, Joplin. ... once you get to know him: Book Notes | Books and Culture. ... perhaps: Bruce Charlton's Miscellany: Paganism (unlike Christianity) can be personal, individual. Neo-paganism is an expression of nihilism - maybe emotionally pleasing, maybe able to relieve suffering - but nihilistic nonetheless. ... Random Thoughts on the Offer to Buy Barnes & Noble. ... Author Tim Sandlin | James Russell Ament. ... Dappled Things | Current Issue. ... Kinds of Rhyme: “She Walks in Beauty,” “Dulce et Decorum Est,” “Base Details,” & “Blighters” � The Era of Casual Fridays. What one sees is a purely materialist society that is not even very good materialism, for it does not promote even those mental and moral disciplines that promote material success. A large proportion of the population has been left to the mercies of a popular culture whose main characteristic is the willing suspension of intelligence, and which does not merely fail to inculcate refinement, grace, elegance and the desire for improvement, but actively prevents them and causes them to be feared and despised. An inability and unwillingness to discriminate always leads, by default, to the overgrowth of the worst, from which the better can never recover. 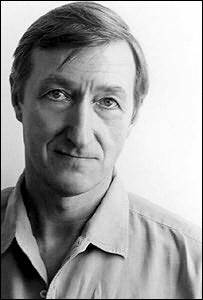 There's no way around the fact that Julian Barnes is smart - very smart. He writes with a refreshing confidence, and line by line, colon by clever colon, I think his work really holds up. This is especially true of Flaubert's Parrot, a novel which I've meant to read for several years, but which I only finished recently. I think the critics are right to compare this book with those of Nabokov and Calvino: for me, it read part Pale Fire, part Winter's Traveler. This is a novel that dares to have a little fun: it's a sort of self-conscious (often irreverent) meditation on our love of art - and of writers. ... New Poem at Philly.com � dianesahmsguarnieri. ... Getting Lt. Schwenk's Story Right, 112 Years Later - NYTimes.com. ... The Silence of Sasquatch: Toeing the Dark Divide. But haven't we been here before? Church and state were discombobulated when the printing press mad publishing possible for many more than was the case earlier. And we will still be able to differentiate between good writers and those not so so good, those who have something to day and those who don't. Yes, a change has taken place, and the change will continue. Why are we afraid? Are we afraid? ... Lincoln Hunter Writer's Ramble: Quote of the Day. Well, people ought to understand that voting is privilege, not a convenience. ... Book review: Millard Fillmore - WSJ.com. ... Anecdotal Evidence: `Other Such Obsolete Stuff'. ... A Commonplace Blog: The books we never abandon. ... just keep scrolling: The Book HavenLife in wartime Warsaw … not quite what you thought. ... (Hat tip, Rus Bowden). Aftermath from Granta magazine on Vimeo. ... Social Media Use Drastically Reduces Work Productivity | Shelly Palmer Digital Living. Well, that is certainly true. This piece also makes me wonder if it isn't true that, had he lived, Camus would have become Christian. I had always thought that a dubious proposition, but now I'm not so sure. ... Philadelphia Comic Con: Wizard Conventions, Comic Convention, Wizard World Philly, Wizard World Tour, Wizard World, Pennsylvania Convention. ... CWA International Dagger shortlist 2011and predicted winner | Petrona. ... Tobacco Road (Modern Library #91). ... The Birth of Religion. At first the Neolithic Revolution was viewed as a single event—a sudden flash of genius—that occurred in a single location, Mesopotamia, between the Tigris and Euphrates Rivers in what is now southern Iraq, then spread to India, Europe, and beyond. Most archaeologists believed this sudden blossoming of civilization was driven largely by environmental changes: a gradual warming as the Ice Age ended that allowed some people to begin cultivating plants and herding animals in abundance. The new research suggests that the "revolution" was actually carried out by many hands across a huge area and over thousands of years. And it may have been driven not by the environment but by something else entirely. ... Göbekli Tepe may be ... the beginning of a pattern. What it suggests, at least to the archaeologists working there, is that the human sense of the sacred—and the human love of a good spectacle—may have given rise to civilization itself. ... Philosophy, lit, etc. : Reviews, anniversaries & re-issues. ... Marginalia, no.203 | The New Psalmanazar. ... Secret Dead Blog: The Secret Dead Blog Q&A: Dave White. ... From ocean to ocean, forever. ... Amazonian tribe has no calendar and no concept of time - Telegraph. "For these fortunate people time isn't money, they aren't racing against the clock to complete anything, and nobody is discussing next week or next year; they don't even have words for 'week', 'month' or 'year'. ... The Millions : The Stockholm Syndrome Theory of Long Novels. Long novels that I've enjoyed -- say, John Cowper Powys's Owen Glendower -- I enjoyed in part because they created a world I enjoyed visiting for an extended stay, and I felt sad leaving that world when I came to the end. ... Ordinary People | Mark Athitakis’ American Fiction Notes. ... There's a market for high-end, luxury books | Philadelphia Inquirer | 05/15/2011. ... Instapundit � Blog Archive � DR. WEEVIL CRACKS DOWN on metaphor abuse. ... Paul Davis On Crime: Interview With Frederick Forsyth On The 40th Anniversary of The Classic Thriller, The Day Of The Jackal. ... Anecdotal Evidence: `Each Year I Find Something New'. ... Charges Against the N.S.A.’s Thomas Drake : The New Yorker. ... the Obama Administration has pursued leak prosecutions with a surprising relentlessness. Including the Drake case, it has been using the Espionage Act to press criminal charges in five alleged instances of national-security leaks—more such prosecutions than have occurred in all previous Administrations combined. The Drake case is one of two that Obama’s Justice Department has carried over from the Bush years. ... Wizard World Digital Magazine - New Issue. ... Zealotry of Guerin: Melancholy And Mystery Of A Street (de Chirico). ... 2011 Independent Publisher Book Awards Results Announcement. ... Anecdotal Evidence: `New Variations on Ancestral Glories'. Once upon a time, though, there were no reviewers. Nobody reviewed The Canterbury Tales. There were no newspapers then, either. Reviews came about when a platform for them came about. So things are changing. So what? ... When Falls the Coliseum � Lisa reads: Graveminder by Melissa Marr. The other night I gave a reading at the Bolingbroke Mansion in Radnor. It was a very pleasant experience. The fellow who invited me, Noah Cutler, read some of his work as well, and I was rather taken with the first poem he read because of how well the rhymes worked. He had graciously allowed me to post it here. So many gone, and too few left. To stand and fight, to sweat and bleed. Of innocence lost and promises broken. I’ve paced all night, while others slept. For lives left broken and promises kept. ... an old friend has died and "I feel chilly and grown old." Blogging will resume later. ... TLS Letters: Hannibal, Turkey, Vampires, and more! ... A Momentary Taste of Being: Edge--Thomas Blackthorne. ... Behind the Brevity Essay: Creative Writing for Suicidal Teens � BREVITY's Nonfiction Blog. ... The Liner | Books and Culture. ... THE ROSE by Jennifer Potter reviewed by Helen Castor - TLS. ... A Solitary Thinker - The Chronicle Review - The Chronicle of Higher Education. ... I' m with Maxine on this. I am not a Philip Roth fan. ... of TLS Letters: E. M. Forster, always working, Señor Frase, hyphens/dashes, and more! I missed this last week because Blogger was down. ... Eat, Pray, Love The Irony � BREVITY's Nonfiction Blog. ... From the Life � Georgy Riecke. ... Paul Davis On Crime: A History of Spies, Traitors & Saboteurs On Display At The National Constitution Center In Philadelphia. ... Anecdotal Evidence: `O My Brother, You Have Been Well Taken'. ... Dragoncave: The Practicalities of Critique & Criticism 7: The Right Sandbox. ... or doesn't: zmkc: Words and Phrases - Wise Advice. ... Instapundit � Blog Archive � GROVER CLEVELAND on financial policy. ... Reading and Writing | James Russell Ament. Mamet himself has never been a political playwright or a dramatist of ideas, being concerned with earthier themes—how it is, for example, that everyday conflicts compound into catastrophe. His plays were heavy with a tragic view of human interaction. They depicted, as he put it, people doing despicable things to each other, moved by greed or power lust or some nameless craving. Still, politically minded critics were pleased to divine a political intent: American Buffalo, set in a junk shop, orGlengarry Glen Ross, set in a real estate office, were allegories of the heartlessness of a country (ours) ruled by markets and capital. Their invariably unhappy or unresolved endings drove the point home. And the critics had a point. The world Mamet created was one-half of the leftist view of life, anyway: the Hobbesian jungle that Utopians would rescue us from, liberal idealism with the sunny side down. ... The Neglected Books Page � Blog Archive � Theodor Fontane. In college I studied the German Novelle. Fontane, Stifter, Theodor Storm, and a good many more, are great writers. ... Plain and simple kindness is true and real. ... Bill Peschel: Pennwriters Conference before the storm. ... The Book Haven“The Wolf Who Ate Books”: Michnik, Vendler, Hirshfield, and others remember Miłosz. Keep scrolling. There's a lot to catch up on. ... Peter Stothard - Times Online - WBLG: Lara Croft and me. For no particular reason, other than I just thought of what a great reading experience it was last summer, I thought I'd plug Peter's book, especially now that it's in paperback: On the Spartacus Road: A Spectacular Journey Through Ancient Italy. ... Anecdotal Evidence: `You Have to Have Some Basis in Being'. Undoubtedly, the overwhelming majority of material that is published under the label of poetry in our times evinces, by its practice, the conviction that poetic language is nothing other than the common language of the times. And it is precisely because this conviction is now so universal that it seems appropriate to note that no falser belief about the craft of poetry could possibly be made. Moreover, if that belief were not false, then the obvious consequence of a strict adherence to this dictum in our timewould be the total preclusion, for ourselves and our near progeny, of achieving anything worthwhile in the art of poetry. My own view? Poetry is written in the language of the poem. ... Review: Hey, Boo (2010). ... From Krakow: Zagajewski and other poets don yarmulkes for Temple Synagogue reading. ... The New New Journalism Platforms � BREVITY's Nonfiction Blog. See also: The Blueberry Book. ... Back of Beyond by C J Box | Petrona. ... A Commonplace Blog: The paradoxical politics of creative writing. Ward inclines, then, to an idealism which gives priority to mind – what he calls ‘dual-aspect idealism’: minds are the inner aspect of an apparently-material person, living in an apparently-material world. “What the reality underlying those appearances may be in detail we do not know,” he continues. “But since minds are the only sorts of reality we know to belong to the world of things-in-themselves, it is reasonable to think that reality does not exist without mind and consciousness, evaluation and intention, understanding and action … Minds are not illusory ghosts in real machines. On the contrary, machines are spectral, transitory phenomena appearing to an intelligible world of minds.” This leads Ward to further reflections on issues such as whether the universe can be said to have purpose, the nature of what it is to be a person, and whether minds can exist in disembodied forms. ... Lisella and Fagiani in Fox Chase May 22nd � fox chase reading series. ... at Five Chapters: Ten Years In The Life Of A Wedding Registry. ... Paul Davis On Crime: Elmore Leonard On Westerns, Movies, Drinking, And Hanging Out With Detroit Cops. ... When Falls the Coliseum � Lisa reads: The Civilized World by Susi Wyss. I don't think things really have changed that must. People have always had their views of books and reviews. Now, they don't just talk about them; they have places where they can write about about them, broadcast them. ... INSIDE THE SKULL HOUSE - Introduction. ... Anecdotal Evidence: `Whatever the Forest and Field Have to Offer'. Debbie and I saw this fellow play a private concert at Kass an Eric Mencher's last night. He was great, so I thought I'd share. ... Bill Peschel: Link roundup: Caroline Leavitt, Charles Schulz. While there's no question that we're living through a period (a wave, really) of readable non-fiction, there is an increasing question, I think, about whether these works - about artists, about history, about regions of the world - are worthy of our attention. Having recently completed Jeffrey Myers's biography of Amedeo Modigliani, I am again convinced that we are too generous in our praise, too eager to provide a positive review. This, though, isn't the worst part: for even though Myers does, from time to time, introduce an interesting argument or a helpful reference to the cultural history of Paris, he refuses - and I mean steadfastly refuses - to fully engage the meaning of Modigliani's life and work. It seems that Myers is more interested in describing 'what' than he is answering 'why.' The result is a flat, predictable biography which fails to account for those blank eyes (those endlessly fascinating blank eyes) of Modigliani's models. Here's a book with a superabundance of adjectives and decisive lack of verbs. 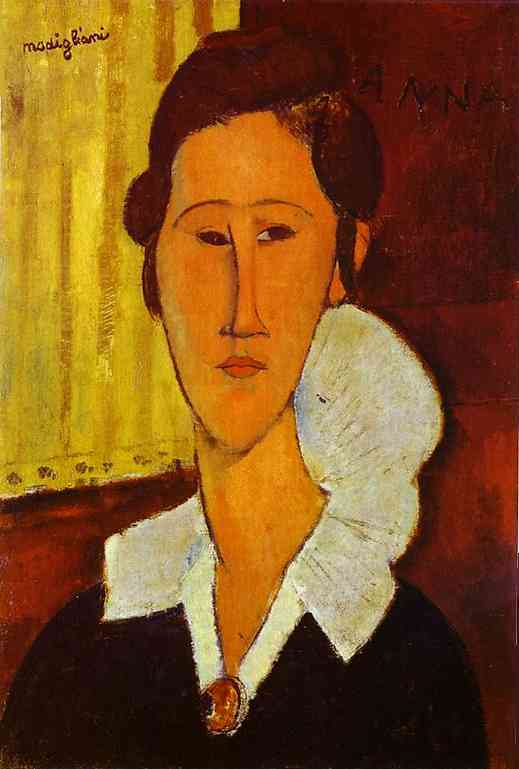 I know it's fashionable to castigate academic histories and biographies as being too bogged down in the details, in the minutia - but let me say that I'd take an academic treatment of Modigliani any day of the week. 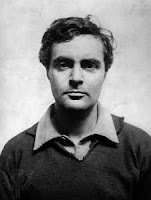 True, the footnotes can be cumbersome: but at least their presence suggests a clear line of argument, an attempt (whether successful or otherwise) to locate Modigliani within a larger continuum of artists, art, and art history. ... Metroactive Music | Lou Harrison. ... Lou Harrison, born on this date in1917. He was wonderful man -- and a great composer. I believe this was premiered by the Philadelphia Orchestra at Saratoga. I remember the broadcast on a Sunday. And I was so moved, I cried. ... in nonfiction: So Much More Self There: Ander Monson on Truth in Nonfiction � BREVITY's Nonfiction Blog. ... Confessions of a Lexicographer � The Dabbler. Many people believe that Ulysses is a difficult book. It’s a long book certainly, but so was the last Harry Potter. And ‘difficulty’ is very much a matter of context: Ulysses is difficult compared to, say, Roald Dahl’s The BFG, granted; but next to The Critique of Pure Reason by Immanuel Kant, to take one example, it really is a cinch. ... Google's Blogger outage makes the case against a cloud-only strategy | ZDNet. I didn't realize at first that things I had scheduled to post never posted. ... Logical punctuation: Should we start placing commas outside quotation marks? - By Ben Yagoda - Slate Magazine. ... Zealotry of Guerin: The Village Of The Mermaids (Paul Delvaux). .... Establishment Blues | Via Meadia. Here in the early years of the twenty-first century, the American elite is a walking disaster and is in every way less capable than its predecessors. It is less in touch with American history and culture, less personally honest, less productive, less forward looking, less effective at and less committed to child rearing, less freedom loving, less sacrificially patriotic and less entrepreneurial than predecessor generations. Its sense of entitlement and snobbery is greater than at any time since the American Revolution; its addiction to privilege is greater than during the Gilded Age and its ability to raise its young to be productive and courageous leaders of society has largely collapsed. ... FLP - Author Events - Author Events. Ron Slate on Radial Symmetry, poems by Katherine Larson (Yale University Press) | On the Seawall: A Literary Website by Ron Slate (GD). Since returning to The Inquirer, I have been doing my blogging first thing in the morning, starting around 5 a.m. But this morning Blogger was not functioning. It's back working now, but I am about to head off to work. So blogging will resume sometime later. ... Andrew Roberts: Britain Goes Wobbly on Terror - WSJ.com. When the Mets-Phillies baseball game erupted into cheers on hearing the wonderful news, or the crowds chanted "USA! 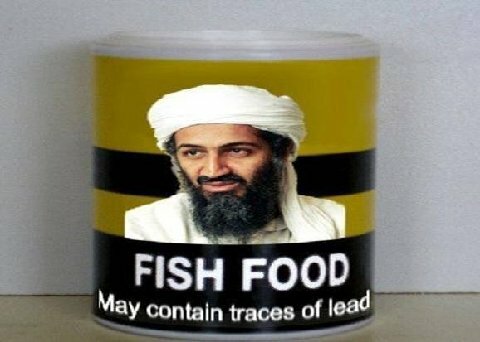 USA!" outside the White House, they were manifesting the finest emotional responses of a great people. By total contrast, when Douglas Murray, the associate director of the Henry Jackson Society, told the BBC's flagship program "Question Time" last Thursday that he felt "elated" at the news, he was booed, heckled and almost shouted down. ... Paul Davis On Crime: On The Road: A Visit To The Jack Kerouac House In Orlando. ... Poetry & Poets in Rags: News at Eleven: It's hard to think of any other writer anywhere. ... zmkc: Battered Penguins VI. ... The Fates Will Find Their Way | Books and Culture. ... HTMLGIANT | Dinty W. Moore on Memoir � BREVITY's Nonfiction Blog. ... When Falls the Coliseum � The art of blogging: Is it flourishing or foundering? ... at Five Chapters: Do Widzenia. .... Dismal-Science Fiction | Mark Athitakis’ American Fiction Notes. Deprivation of the ability to speak is more like an attack of impotence, or the amputation of part of the personality. To a great degree, in public and private, I “was” my voice. Tennyson's greatness doesn't rest on some hidden "modernity" waiting to be discovered in his work. On the contrary: he is irreplaceable just because his sensibility is so utterly different from ours. To appreciate him demands audacity of imagination; it means viewing the world from unexpected, almost alien angles. When the Irish poet William Allingham first met Tennyson on June 28, 1851, he was startled by his "hollow cheeks and the dark pallor of his skin" which gave him "an unhealthy appearance". Allingham went on to remark that Tennyson "was a strange and almost spectral figure". A propos of Frank's earlier post: here's another interesting list. I am groping about through this American forest of prejudice and proscription, determined to find some form of civilization where all men will be accepted for what they are worth. ... it's my alma mater: SJU. ... courtesy of Paul Davis. I don’t read any more, or I hardly read any more. Not like I did. I have, now, become a sort of demon reader. All day, every day, I’m scanning print and uploading vast amounts of information. I have to do this in order to earn a living. The economics of literature insist on it. ... The Magus (Modern Library #93).